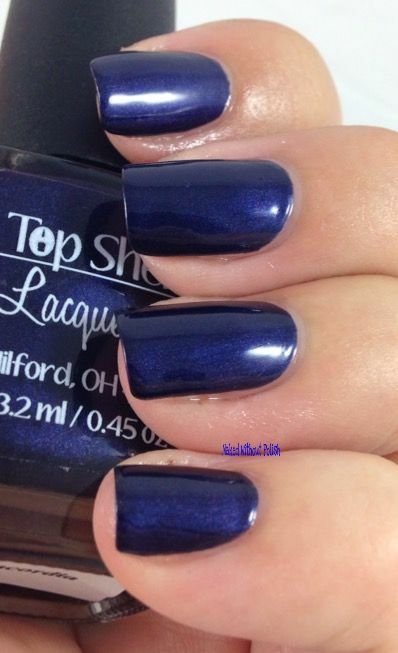 If you guys enjoyed the dark beauties in yesterday's post, you're going to love the ones I've got from Top Shelf Lacquer. She did a 180 from the neons and pastels and went dark. I give you, The Wine List Collection. 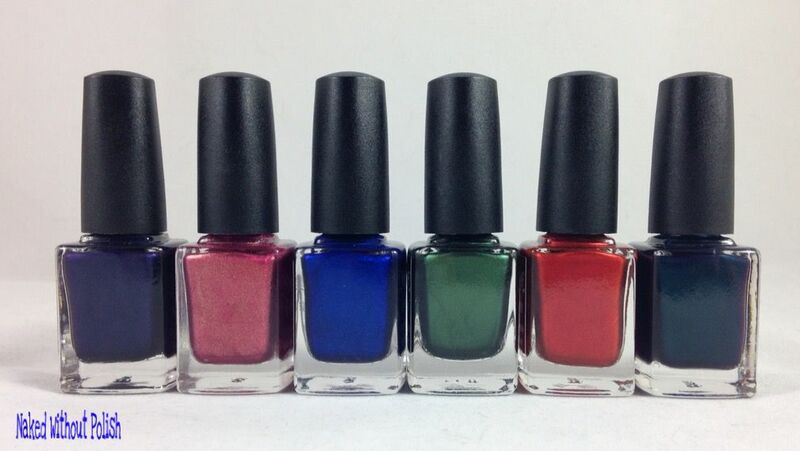 A set of six dark, sultry, jewel-toned polishes that are sure to make you feel drunk with happiness. 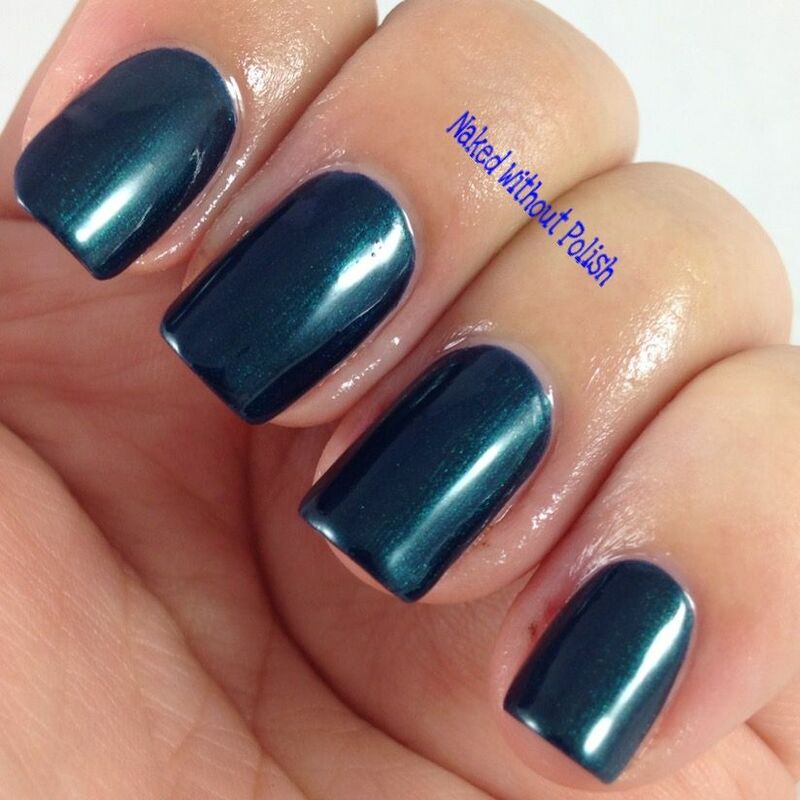 Blue Raspberry Merlot is described as "a dark teal with metallic shimmer". 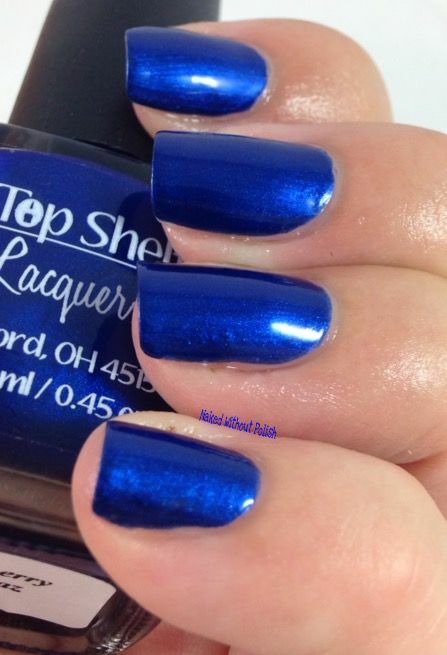 Shown is two coats of Blue Raspberry Merlot. 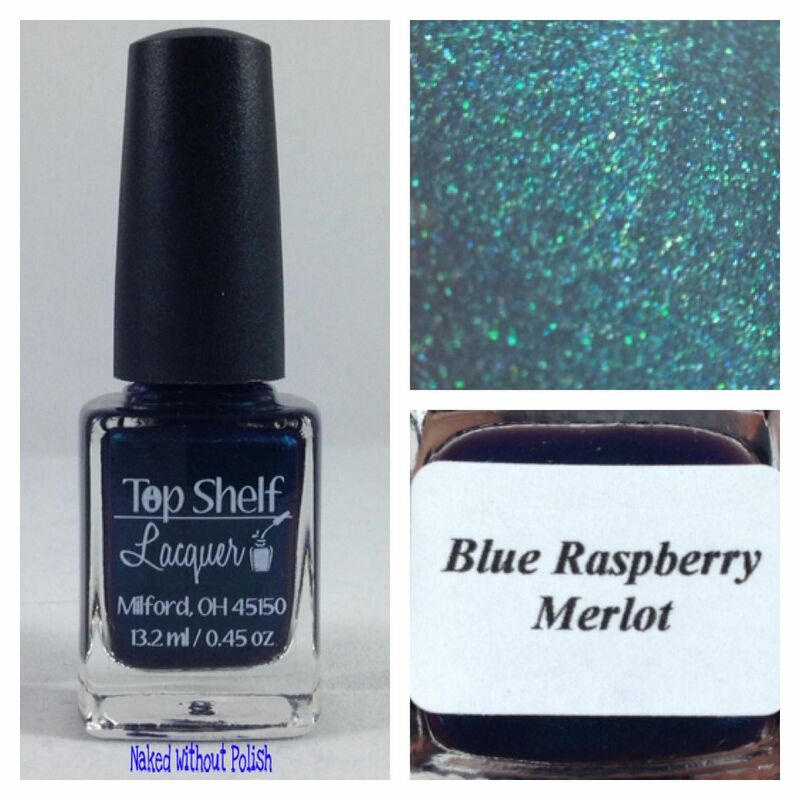 Blue Raspberry Merlot is the epitome of dark and mysterious. 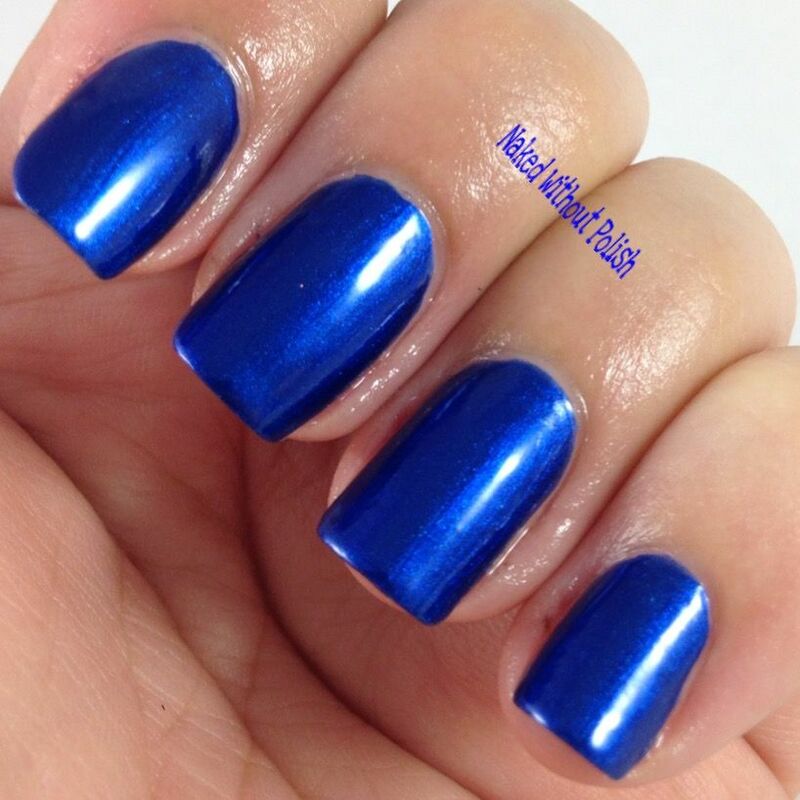 You'll catch yourself just staring at your nails. 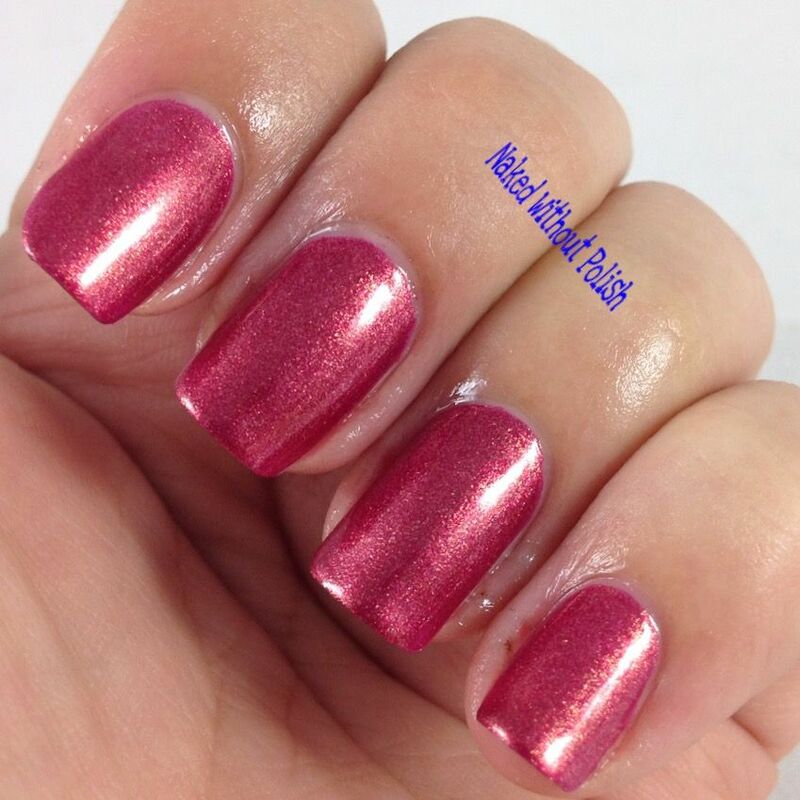 Not because they are sparkly, but because you are truly trying to figure the polish out. That's not a bad thing. The more you wear it, the more you get to know it, the more you fall in love with it. 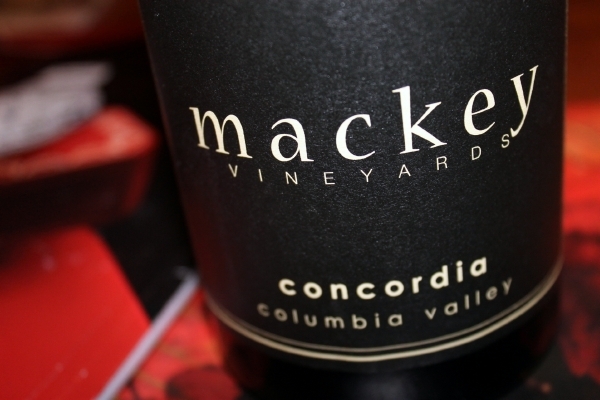 Aged Cabernet is described as "a garnet red with a metallic shimmer". Shown is two coats of Aged Cabernet. 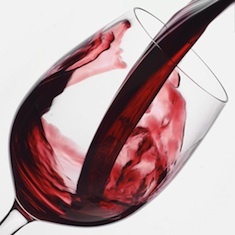 Aged Cabernet is the perfect poisoned apple red. 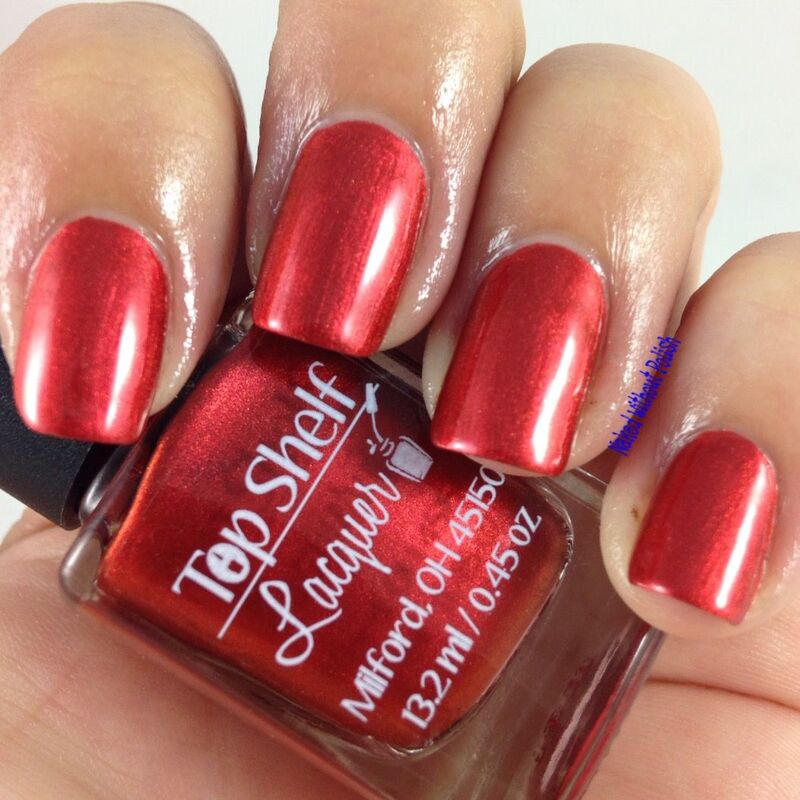 It's inviting and captivating in ways you'd never think a red could be. 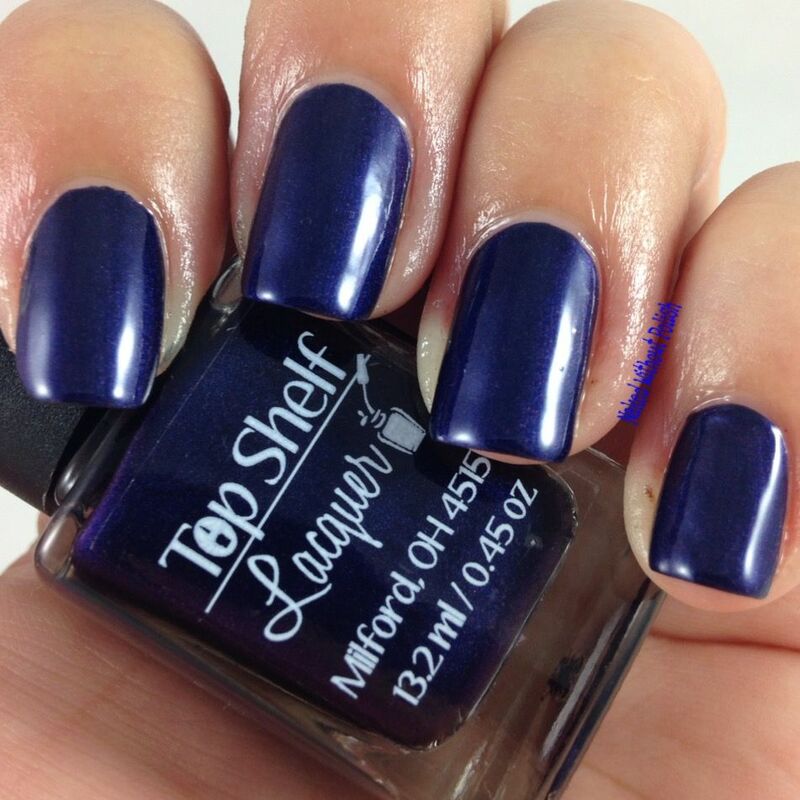 Just the polish you've been looking for to go with your little black dress. 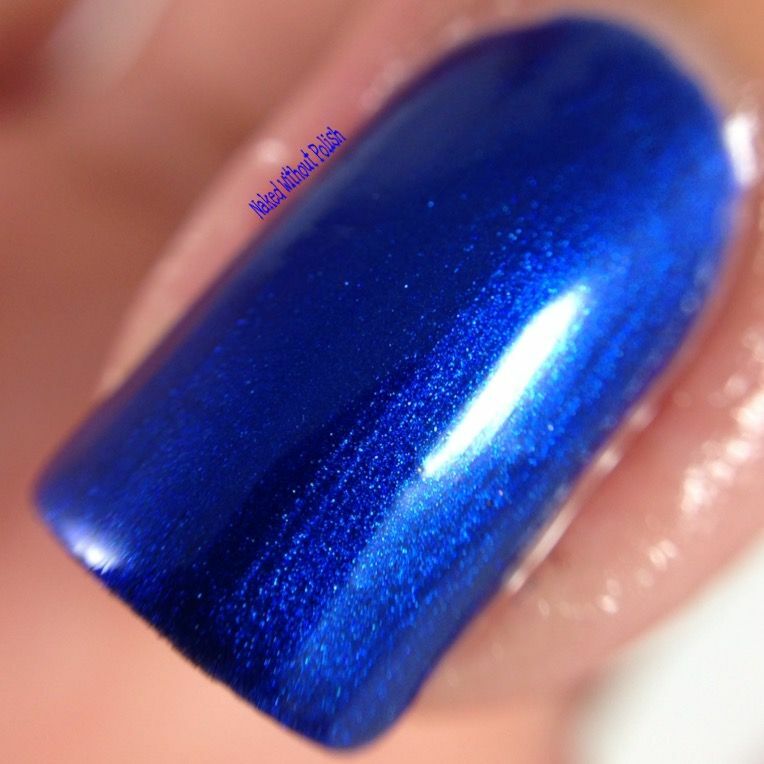 Concordia is described as "an indigo with metallic shimmer". 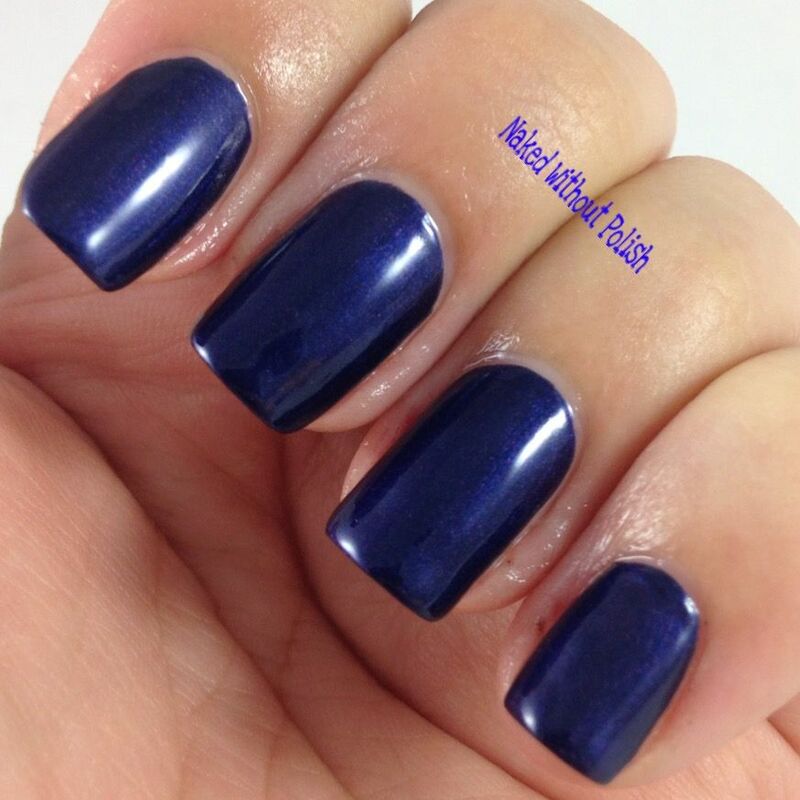 Shown is two coats of Concordia. 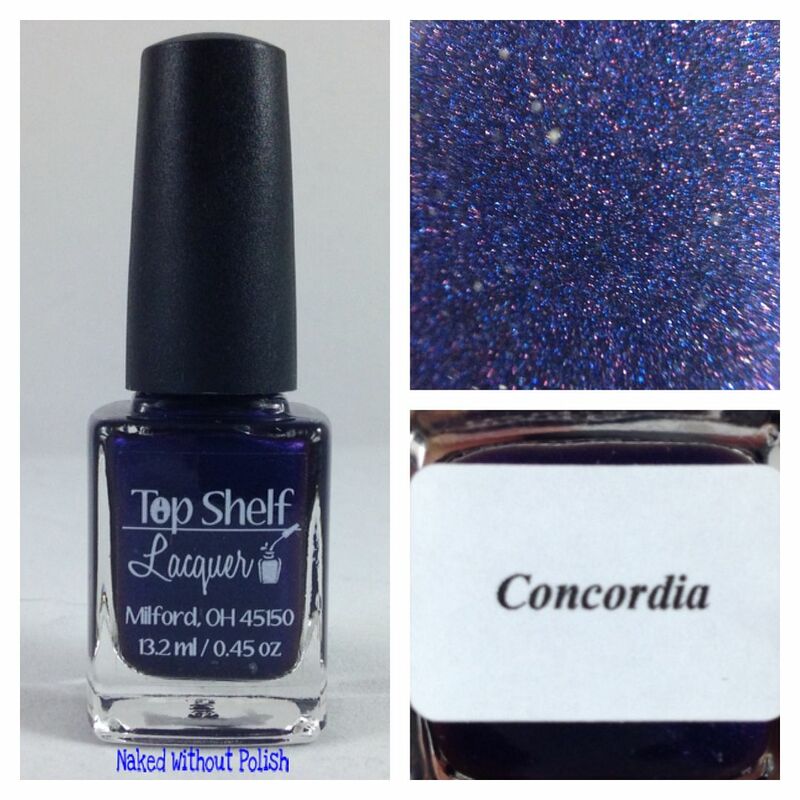 Concordia is that perfect dark shade of grape. When I say grape flavored, this is the color I think of. In fact, why don't you look through the pictures. I need to go see if I have a grape Dum-Dum now. 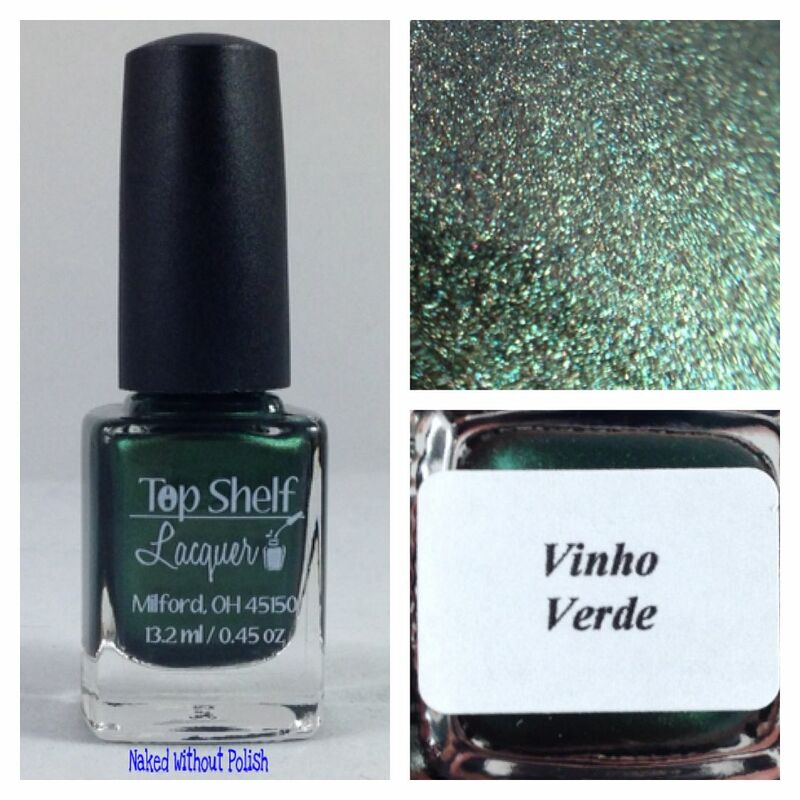 Vinho Verde is described as "an emerald green with metallic shimmer". 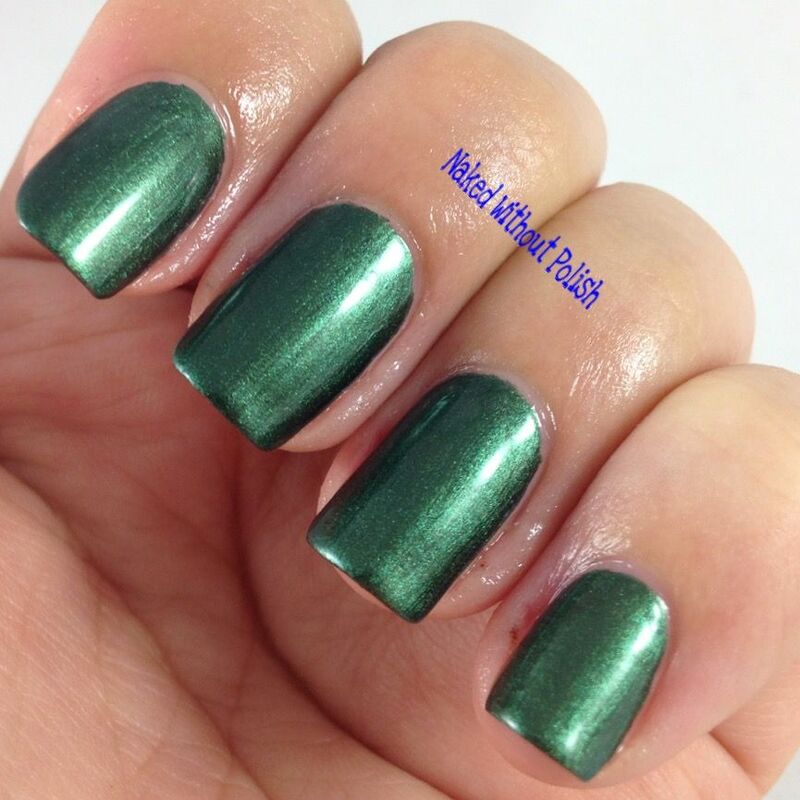 Shown is two coats of Vinho Verde. 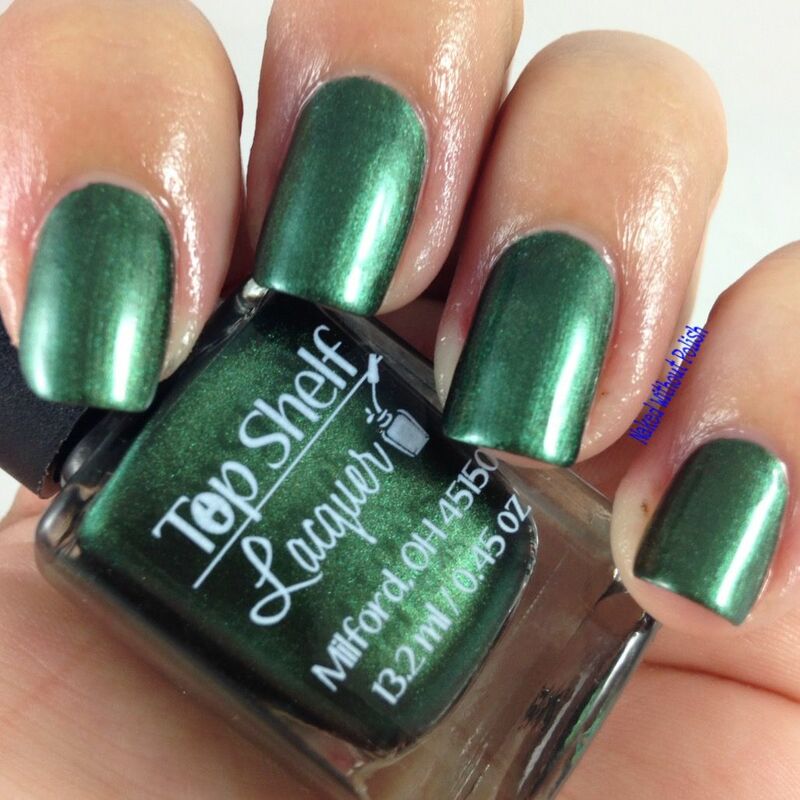 Vinho Verde is going to be my go to holiday polish this winter. I can feel it. 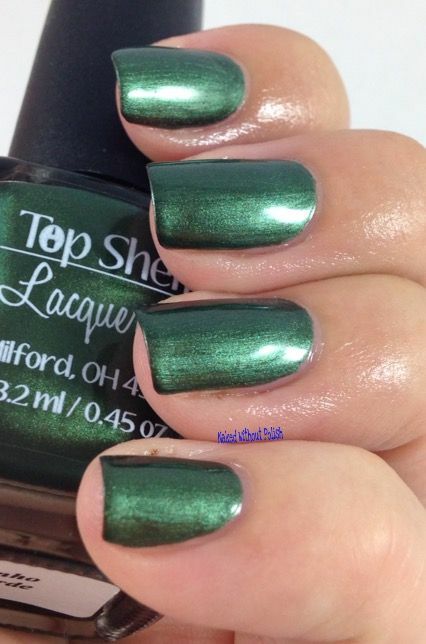 Such a wonderfully versatile green. I love greens though, I always find a reason to wear them! 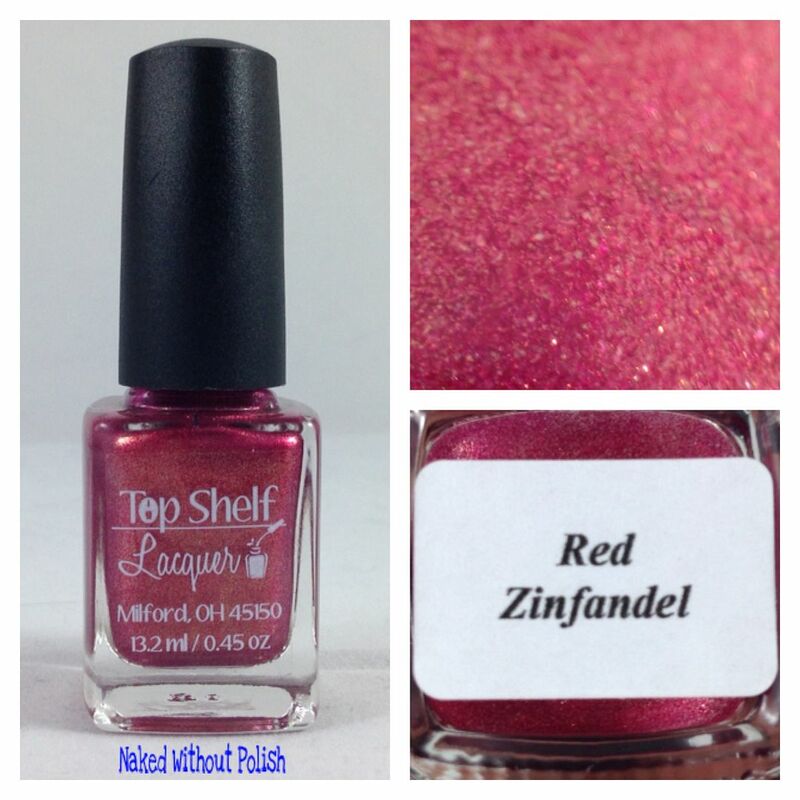 Red Zinfandel is described as "a ruby red with a touch of gold shimmer". 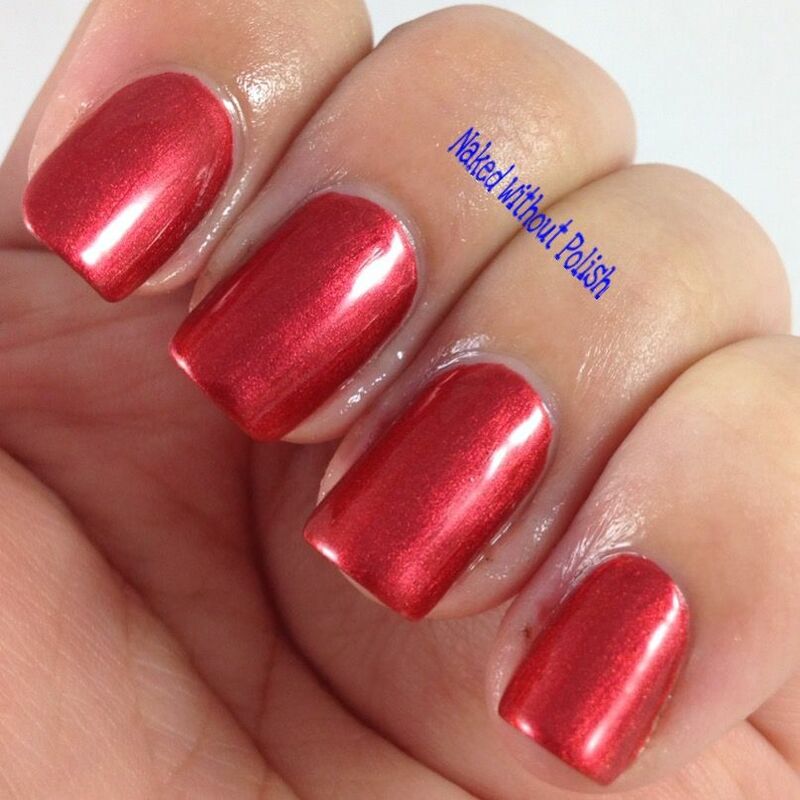 Shown is two coats of Red Zinfandel. 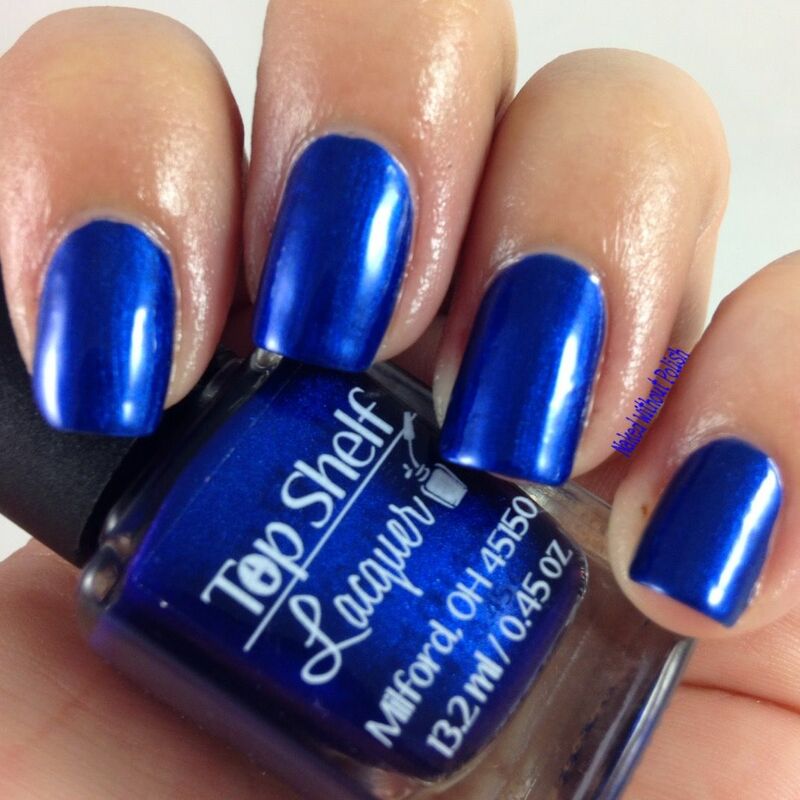 Blueberry Shiraz is described as "a sapphire blue with metallic shimmer". Shown is two coats of Blueberry Shiraz. 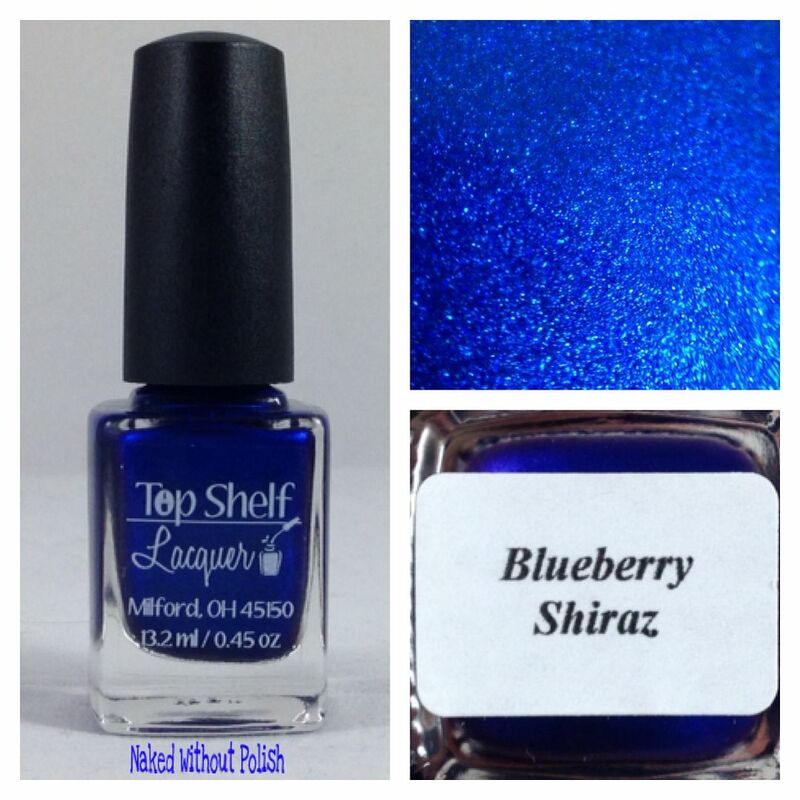 Blueberry Shiraz has been on my radar since Amy first created it. I had been bugging her about it for months. 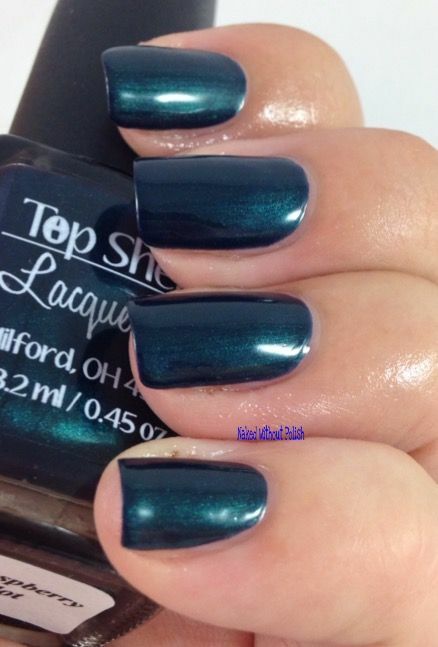 Everything about this polish is amazing! 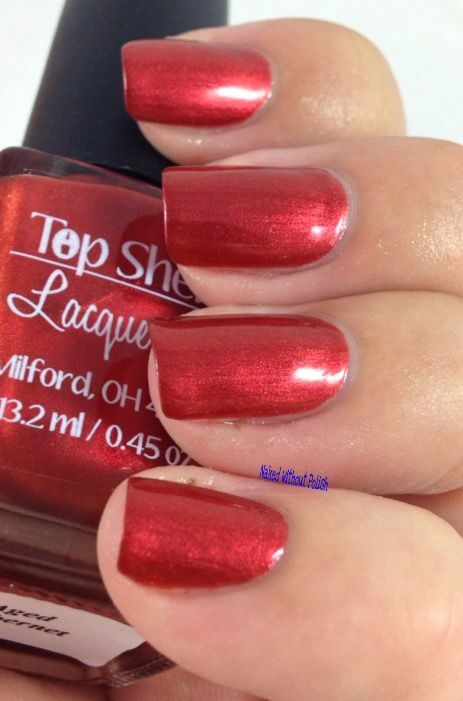 I wore it on 2 manis before I got to swatch it. I never wanted to take it off. 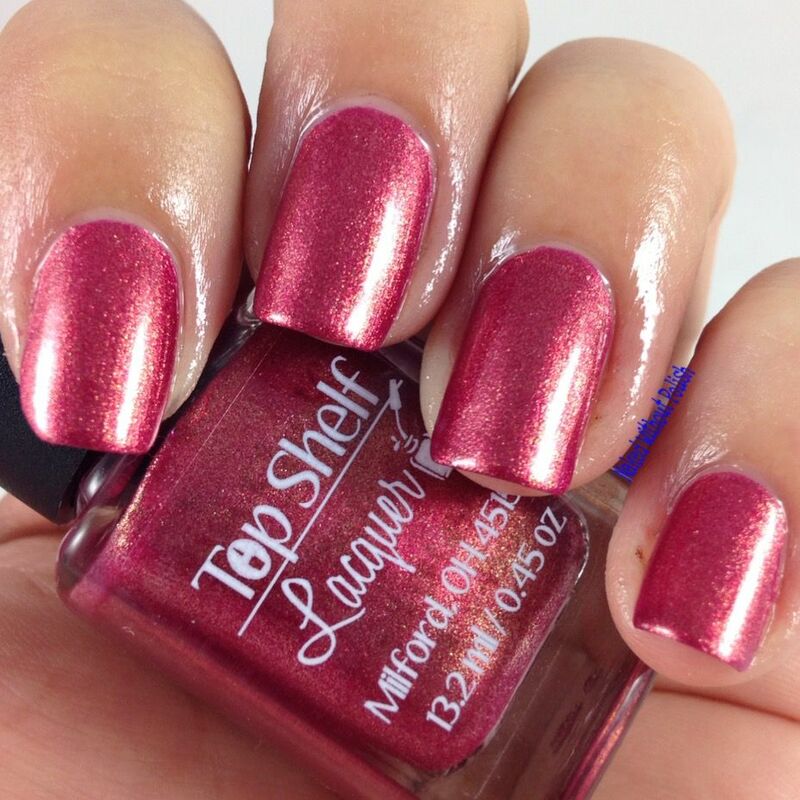 The Wine List Collection will be released at noon EST on Wednesday, July 15, 2015, along with the Tropical Cocktail Paradise Collection (which you will see tomorrow). The whole collection will be available HERE for $50 or $9.50 individually. If you end up liking both collections and get them both, or just want two sets of one collection, you will get free shipping. Any of these jumping out at you? 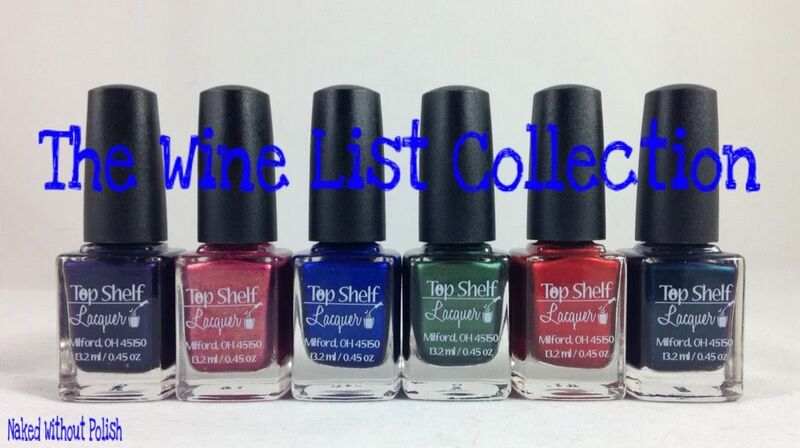 If you can't get the whole set, my must haves would be Blueberry Shiraz, Red Zinfandel, and Blue Raspberry Merlot.